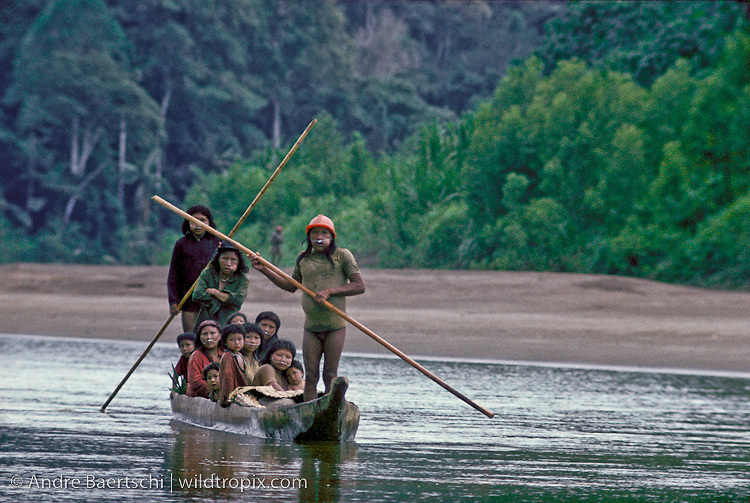 Recently contacted Yora (or Nahua) Indians from the Rio Cashpajali heading downriver by canoe along the upper Rio Manu in July 1985. Almost half of their population died of a respiratory infection epidemic within short time after a forced contact with a logging company in 1984. Lowland tropical rainforest, Manu National Park, Madre de Dios, Peru.